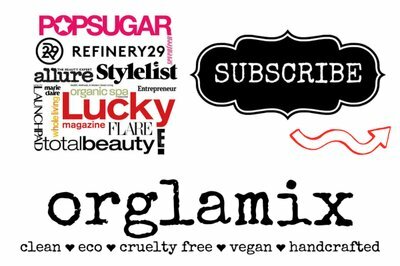 Enter your email address below to receive a notification when Orglamix starts accepting new sign-ups! Enter your email address below to receive a notification when Orglamix is accepting new sign-ups again. 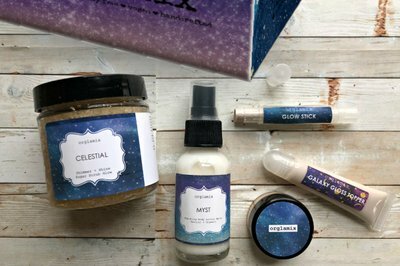 November Box SOLD OUT! ❤ Next box ships December ❤ Boxes ship the first week of every month. 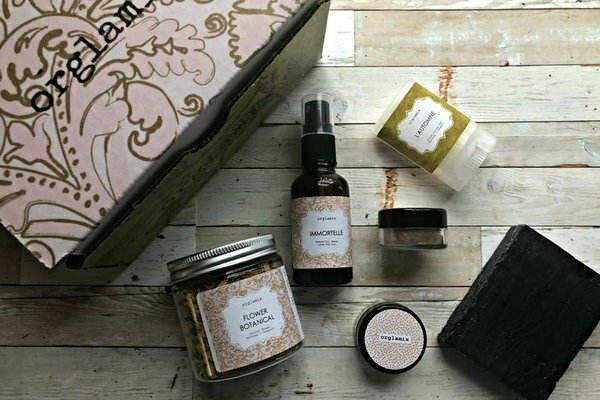 Orders placed by the last day of the month begin with that month's box. Orders after the last day of the month will begin with the following month's box. Every box has sold out, be sure to reserve early! The best in self care, every month! For busy women who have been looking for a good reason to #TreatYoSelf, consider this: You probably don't do it often enough, and putting "me time" on the back burner is a big part of why we can all feel run-down, frenzied, + overwhelmed. Orglamix, to the rescue! Relive Stress - You can not control everything life throws your way, but you can control how well you take care of yourself. Build resilience with self-care. Give yourself or a loved one a unique gift to help prevent and manage stress. 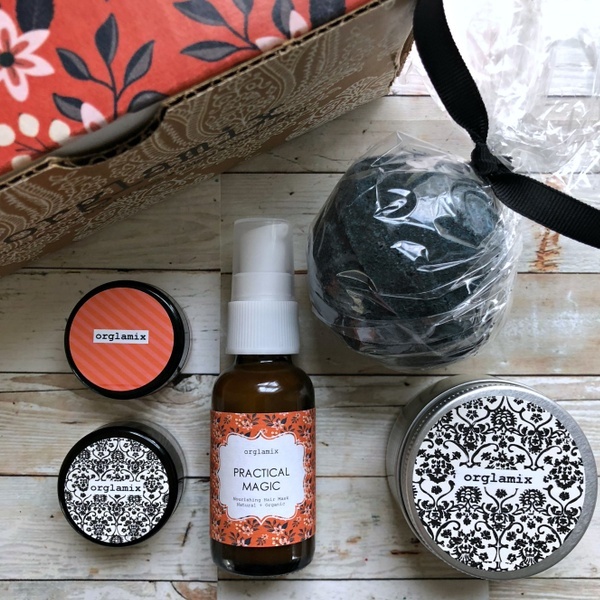 High Quality - What’s not to love about getting a well-thought box of self-care goodness delivered to you each and every month? Discover 4-6 amazing, full-size premium products to reduce stress and spark a little joy into your everyday. 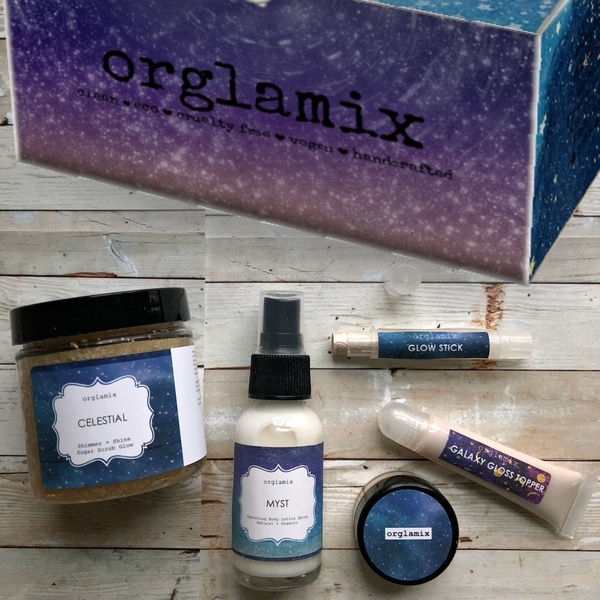 Unique - What’s in the Orglamix box? 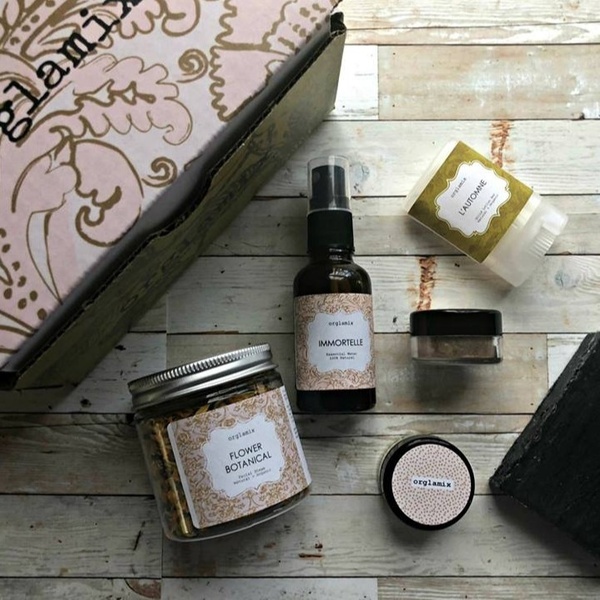 Handcrafted, artisan goodness you won’t find in any other subscription box. Why? Becuase everything is meticulously handcrafted in small batches in our studio. 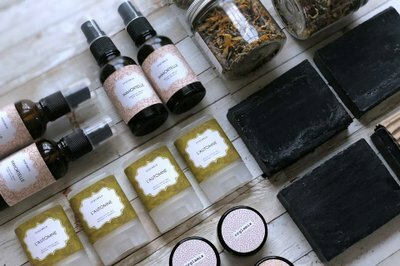 Natural cosmetics, organic skincare, aromatherapy, bath and body and other delights for the mind, body and soul. 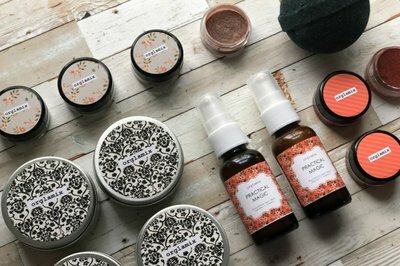 Certified cruelty free + vegan. Affordable - Plans that fit all budgets, no more overpaying for good-for-you products. Free Shipping to US destinations. Worldwide Shipping. Cancel anytime. Makes a great gift. Get $5 off your first box with code CRATEJOY. I originally purchased this with the intention of just doing it once but now im getting a yearly subscription for sure. Loved all of the products and there is at least two i knew right away id repurcharse. Loved that all the products are truly made from good simple easy to understand ingredients. Worth the price! I received this as a gift from my husband after I had our first baby. The first box was wonderful, the second was all gemstone theme, which I loved and I can not wait for the Halloween box. It looks so fun. The products are full size and good-for-you, which as a new mom, I appreciate. Thank you for sharing your feedback, Sherrie. We did look at your account and it looks like your subscription had expired. I was renewed at the end of January, which would mean February would be your first box. Our customer service is here to help 24/7 at help@orglamix.com. "Our boxes ship 7-10th of each month." Now I do understand that it doesn't ship when I pay, but first of all I asked when it ARRIVES, not when it is shipped. On the 13th of April I asked WHEN it arrives again and they sent me an email that was supposed to contain a tracking link, but didn't. I requested it, they finally gave it to me. They said the shipment usually takes from 7 to 10 days. It is the 24th. So it is incredibly late. And in the tracking link it still says that the status is "Picked Up" since the 13th. This, of course is outraging and pretty much ruins whatever will be in the box. I loved all the sparkles and the lip gloss smelled amazing! This was a terrific set for the price. Now that I have been introduced to Orglamix mascara, I will never use another brand! The eyeshadow is lovely. It's a beautiful shade and long lasting. The mask. This stuff is incredible. I have very sensitive skin that has a lot of flare ups and this is the only mask I've found that really helps. My skin looks clearer, brighter, and its softer! I'll admit, the smell isn't good, but I was able to look past this since it works.